An architect’s quixotic but enduring quest to change the way we live. Slideshow: A panoramic view of Arcosanti, a model town in the high desert of central Arizona conceived by architect Paolo Soleri as a laboratory for experiments in sustainable urban living. The visitors’ center (far left) includes a café and a gallery. A pair of apses (left) are the site of ceramic and bronze bell production. Vaults at the top of the mesa serve as a public plaza for the community. The building overlooking the pool (far right) houses administrative offices, a drafting studio, and a library. 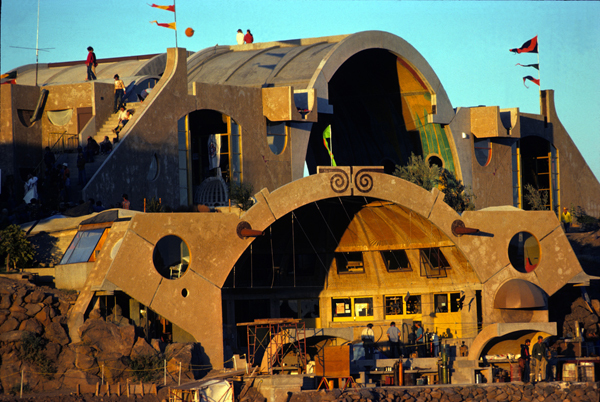 Slideshow: The sun sets on Arcosanti in the late 1970s. 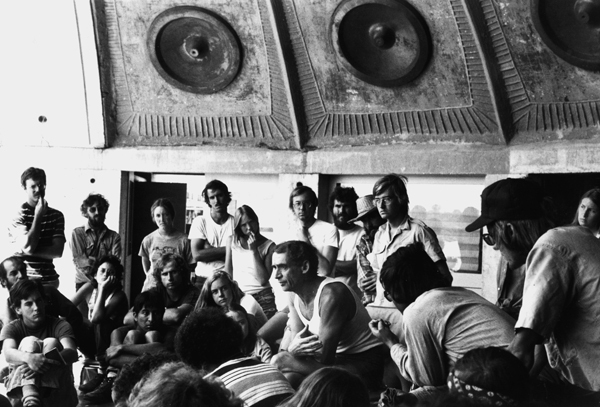 Slideshow: Paolo Soleri speaks to the community in the mid-1970s. 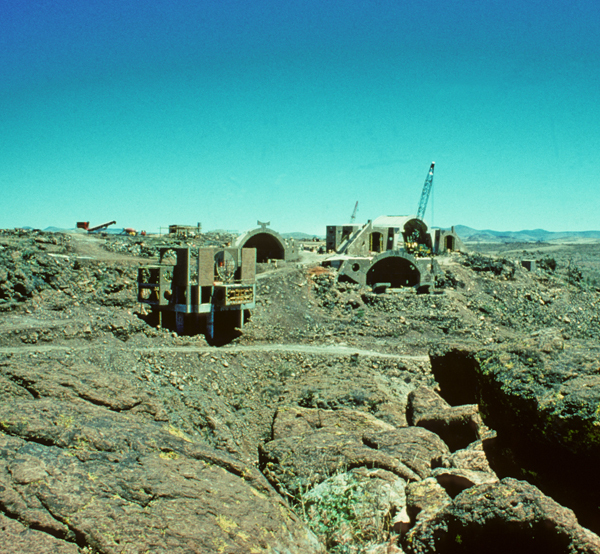 Slideshow: Arcosanti is built upon a bluff overlooking the Agua Fria River. This 1975 photograph shows the progress made at the site since construction began five years earlier. 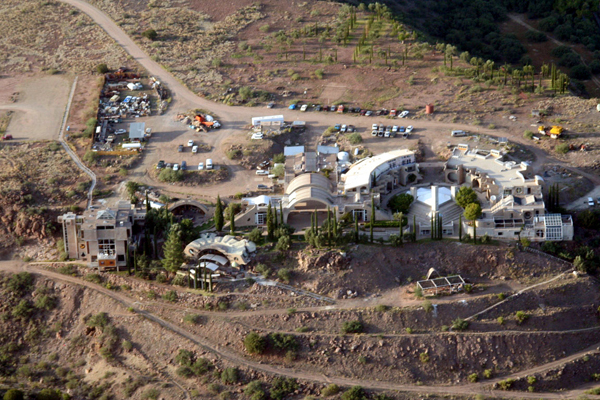 Slideshow: A recent view of Arcosanti from the air.